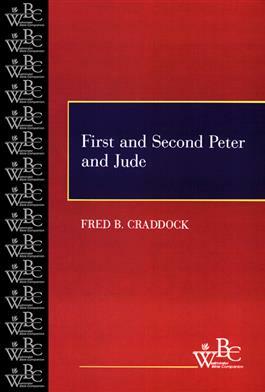 Fred B. Craddock examines the letters of First and Second Peter and Jude, asking, what kind of literature is it? who wrote the letter? to whom was the letter written? and for what purpose was the letter written? Craddock's answers let us draw from these often undervalued epistles an awareness of what is involved in living a Christian life in this world. We also see the similarities and differences in how Christ is portrayed in these epistles as opposed to the depiction found in other New Testament writings. Books in the Westminster Bible Companion series assist laity in their study of the Bible as a guide to Christian faith and practice. Each volume explains the biblical book in its original historical context and explores its significance for faithful living today. These books are ideal for individual study and for Bible study classes and groups.